It's always a party in Portland. How does anyone get any sleep? I love staycation week, and it's become a tradition at our house. Many times when I get a week off from my IT job, it involves traveling to far off places and time zones. A few years ago, my wife and I started a tradition of doing a staycation - where we spend the week in town going to places that we might not otherwise because of busy schedules. Having this coincide with my recent transition to a full time gluten free diet, we spent the week testing out various food options - many new to me, but since Jennifer has been a celiac for many years, she's been eating gluten free since there wasn't quite the options there are now. The break has given me a chance to recharge the batteries and gain some appreciation for the good things and events happening in my life. As much as I love writing, I've actually enjoyed the time digging up tree roots and walking around our neighborhood. A lot. Seriously, my pedometer has been on overdrive despite the fact the rains are hitting this weekend. 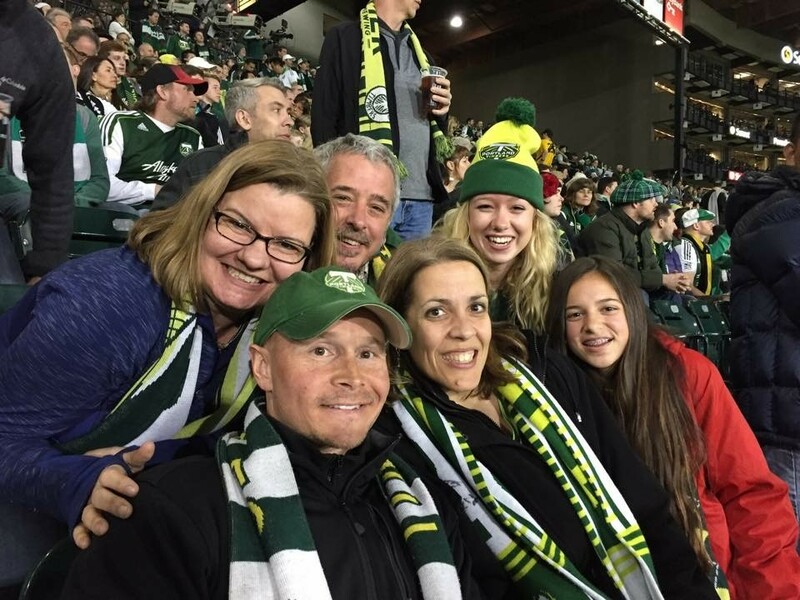 The Portland Timbers match versus Orlando City fell very early in the weekly events, and honestly, the match was a great relief for me for a few reasons. The team played really well and put on one of their most dominant efforts of the 2017 season, but I was also able to avoid many of my food trappings at the park. I can look back now and see the amount of soda and cookies I powered through while covering the team, and upon careful reflection and calorie tracking, I can realize that I really was making some bad choices with my diet. Realizing now that I have to eliminate all gluten means being forever diligent and not making any mistakes when it comes to eating. I will be interested in seeing how this affects me, but considering that my psoriasis had been getting worse each passing week, it was time to do something. Maybe it's part of finally starting to grow up now that I'm 50 years old, but that doesn't mean getting rid of the fun or goofiness either. 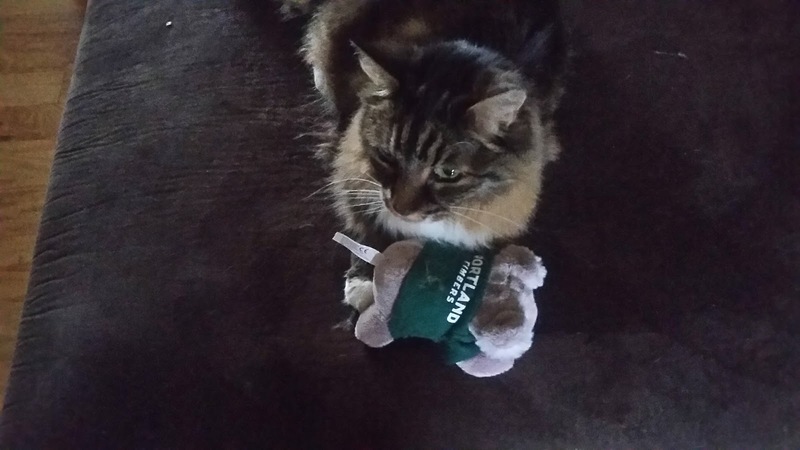 The cats were actually pretty excited about this week's predictions, and I still plan on writing more about recent changes in the Timbers' attack that have impressed me as we move towards the playoffs, but for now, it's time to turn the attention to this week's opponent, the San Jose Earthquakes. As of this point, San Jose is on the outside looking into the postseason sitting in eight place out of 11 in the West. The history between the Timbers and Earthquakes over the years has been slightly beneficial to the Timbers with 8 wins over 18 matches, but there have been 7 draws and a few very dramatic wins by San Jose over the years. One of those in particular was earlier this year when the Earthquakes dismantled the Timbers on May 6, 2017 by a 3 to 0 scoreline that wasn't even as close as the final tally indicated. Portland failed to get much right on this night, and while some of the issues centered around injuries and uneven play, San Jose took advantage of several Timber miscues and were never threatened. 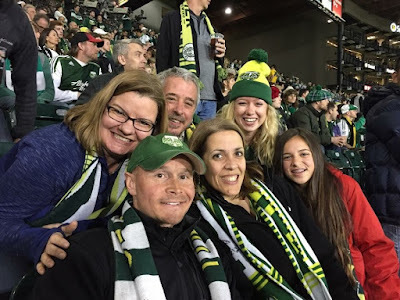 Portland had the advantage in shots and tactical play, but 21 fouls and other issues were enough to doom the Timbers on this night, but the Timbers enacted some revenge when the teams met again on June 2 at Providence Park. A Diego Valeri brace was the deciding factor, but Valeri's second goal was scored late in stoppage as Fanendo Adi had a rather difficult night in terms of misses and rushed shots. Since then, Portland has found their footing behind Valeri's torrid scoring numbers - the Maestro is now sitting at 20 goals on the year with a goal in 9 consecutive matches so far - but he's been far from alone in jumpstarting the Timbers attack. Sebastian Blanco, Darren Mattocks, Darlington Nagbe and Jeremy Ebobisse have all made solid contributions to the offense, while David Guzman, Lawrence Olum, Diego Chara, Dairon Asprilla and Jack Barmby have been effective in the middle supporting the offense and defense as needed. With Liam Ridgewell finally back from injury, the defense has also been improved by only conceding 4 goals in their last 6 matches since Toronto FC smacked the Timbers dramatically back in mid-August. An injury to Jake Gleeson has also put Jeff Attinella into goal for the last several matches, and he's responded with solid efforts in goal despite a few hiccups against his old side, Real Salt Lake. Portland will need all of its weapons at full capacity in their last 3 matches, but Portland will have a break after the Earthquakes match as they don't play again until October 15 in hosting D.C. United. The Timbers will host Vancouver on October 22nd, and this match will likely have plenty of stakes involved for the postseason and the Cascadia Cup status. With all this going on, what do our expert predictors think about this week versus the Earthquakes? Am I supposed to be looking at the camera? Lucy isn't normally big upon lots of goals in Timbers matches like some of the other cats about, but she was very animated about this match for some reason. 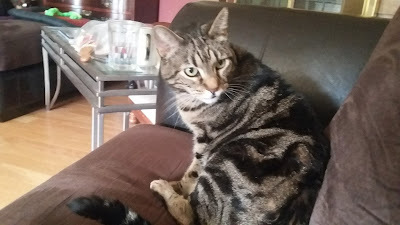 Maybe it was the extra ham she got yesterday or extra time with the brush, but she was very chatty during this week's interview. Unfortunately, she picked more goals for the Earthquakes than she did for the Timbers for this week. Mark and his match day compatriots. 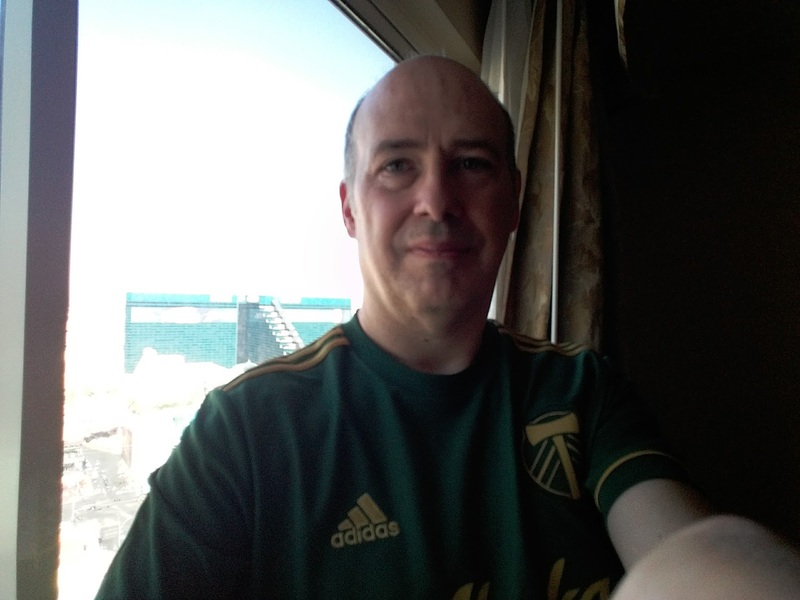 Ok so this week we have our fast rising Timbers against a desperate San Jose Earthquake team. The Timbers are actually listed as a slight road favorite and this is a rarity in a parity driven league, The Quakes will be playing on short rest and their result on Wednesday will have much to say about their mindset for Saturday’s match. Well it seems like the Earthquakes wasted little energy while laying an egg at home. San Jose has always been a scattershot opponent for The Timbers and what you immediately expect never ever happens so I step into this prediction with trepidation. San Jose should be a desperate, angry team and they will look to come out with energy and hopefully an early goal. The first 15 minutes to this match will be key. I expect the Timbers to come out with the strategy of holding the Quakes at bay for the opening 15 minutes. I also expect Ridgewell and Larrys to up to the task. This will not be a pretty game and it usually turns ugly when these teams collide. I do not expect The Maestro to continue his string from the run of play. A penalty kick is quite possible however. Somebody asked me how many points we would amass in the last 4 games and my answer was 7. We already have three. I am going to raise that 7 to 10. I still do not see us winning this match. I am predicting a one-one draw with Blanco slotting one home. I expect the Quakes to score out side the run of play. I will go out on a limb and call PK goal by Wondo. It is what we call a regression back toward the mean. I know that is mean. Sporting KC will beat Vancouver, and Seattle will draw with Philly I picked Vancouver to win the cup at the beginning of the year. However these days I find my self, checking the price of flights to Atlanta in early December. "Hey! Why are you watching this with your eyes closed?" The Earthquakes (Home record, W6 D5 L2 F23 A18) need to win this match to keep their slender playoff hopes alive. A win for the Timbers (W4 D4 L8 F21 A30 on the road) would strengthen their chances of a top-2 finish and put them in a good position to finish top of the Western Conference with their remaining games being at home to DC United, bottom of the Eastern Conference and Vancouver. Honors are even so far this season, a 0-3 loss on the Timbers last visit and a 2-0 win at home. Diego Valeri to make it 10 on the trot. It's been a tough week for our tuxedo boy as he's been struggling with an eye infection or allergies. We have had to put eye drops in daily with various cleaning exercises, so there are points of the day where Pilot hides in the house. He's doing a lot better now but he wasn't thinking very good for the Timbers in terms of goals down in San Jose. His emphasis on the 2 goals for Portland was fairly emphatic, but he felt the home side was going to get more goals on the evening. Hey, I was sleeping on the purple towel. Why did you wake me? 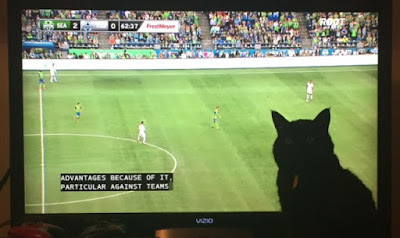 The black cat of the collective has been on a big streak picking against the Timbers, so it was interesting to hear her pick for the lads in green this week. Maybe it was going against her brother, Pilot, as she tends to do the opposite of whatever he does. 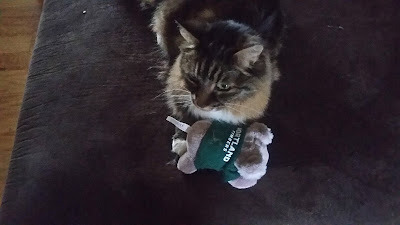 But she was very emphatic with her meows in support of the Timbers, so I am reporting it like I heard it from her. Hopefully for the Timbers Army she's right. The queen of the scoreless draw once again is picking for goals this weekend, but she isn't picking any for the visiting side. Spot took a minute before calling for the number of goals for San Jose, but once she got started, it was three straight meows for goals. 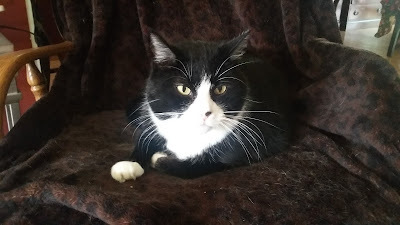 Sitting silent for the Timbers again this week, Spot was very clear that the Timbers would be sent home without any points this weekend. I am happy to be picking for the good guys this week. 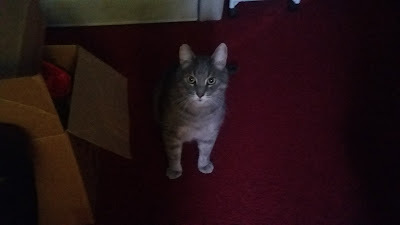 GB has earned another nickname this week in Grey Bro, and it's been a rather chatty week for him. During certain instances when we tell him he can't do something, he has learned to imitate the word No. 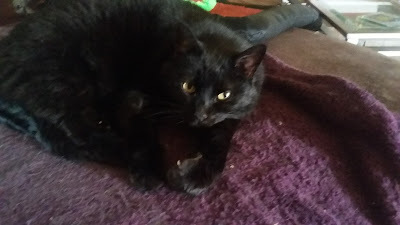 He didn't use that when making his Timbers pick though, as he gave two hearty Meow-ows for Portland yet went silent for the Earthquakes. I know this is a very confident selection since it was done way before meal time, as we've learned not to ask GB about anything around dinner time. All I want is goals. And dinner. 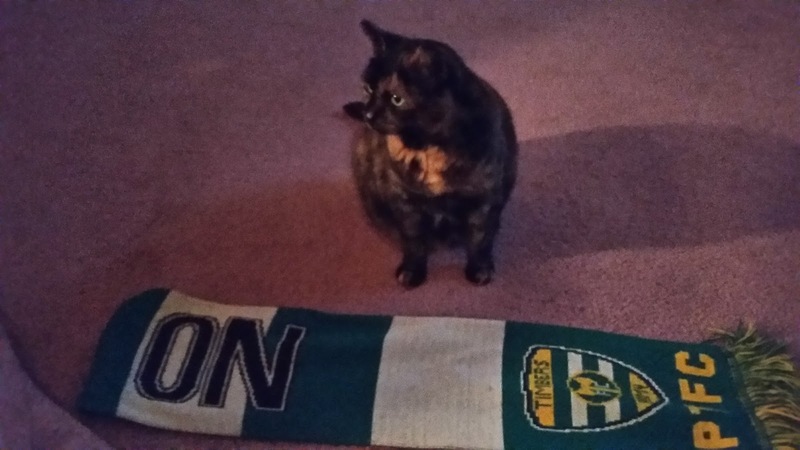 Tortie is always a great interview about the Portland Timbers, and again the tortoise shelled ninja is predicting a ton of goals on the evening. I mean, no defenses at all as we watch the opposing goalkeepers get shelled. Literally. It would be awesome to see this happen and the Timbers get a full 3 points, but I think both sides have a good enough defense that we shouldn't see this happen. Until it does. We always win 2 to 1, right? It seemed like this happened a lot back in the day, and I think it's another score like that for Portland. The defense still has some moments of struggle, but behind Diego Valeri and the offense, I think they will have just enough to secure the full 3 points and solidify their hold on second place while keeping pressure on the Whitecaps. At this time, points are at a premium and I think the Timbers get the full load.